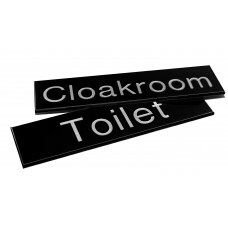 Sometimes a standard sign is not enough and the location requires something a little more elegant. 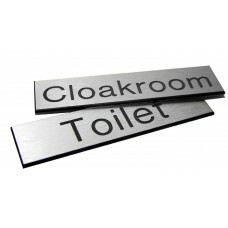 Our deluxe range of signs offer a choice of finishes to help your signs stand out from the crowd. 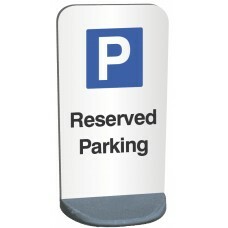 Stand-offs give your signs extra visual impact as they stand out from the wall or door. 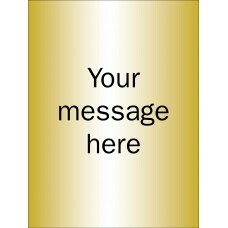 Acrylic or metallic materials provide a contemporary professional appearance which is perfect for hotels, retail and high profile establishments, if you can’t find the message you are looking for then let us know and we’ll be happy to provide a quote. 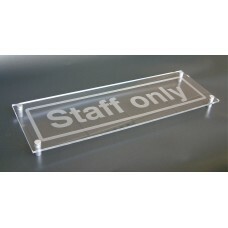 Add a contemporary feel to your business with our popular acrylic stand off signs. 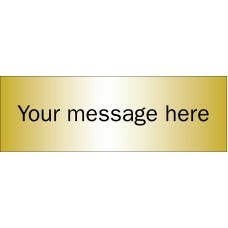 You can customise and personalise the designs to show any message, image or graphic you require. 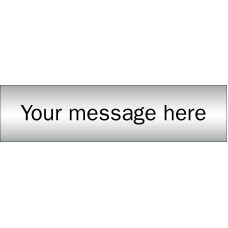 Simply supply the message / logo or image you wish when ordering. 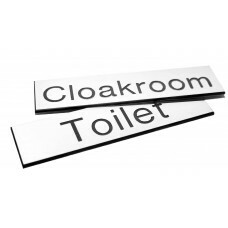 An extensive range of recycling signage to ensure your workplace clearly identifies bins and areas dedicated to your recycling programme. 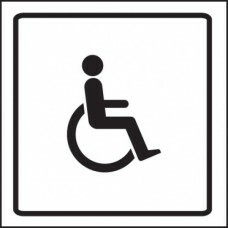 All signs are WRAP compliant (Waste & Resources Action Program..
Metal ball chains can be used in making key chains and attaching tags to equipment. 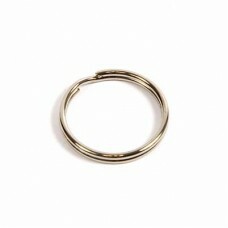 Easy open/close connector link. 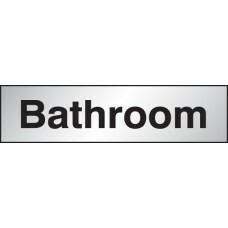 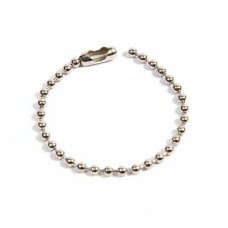 Supplied in 1m lengths and in packs of 5.. 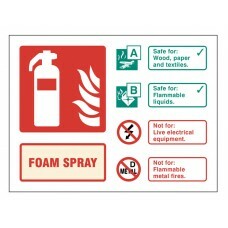 This fire extinguisher sign should be used to highlight AFFF extinguishers. 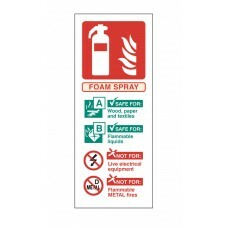 AFFF Foam extinguishers can be used on wood, paper, textiles and flammable liquid fires however they should not be used on l..
An aluminium effect sign with engraved text, available in five different sizes. 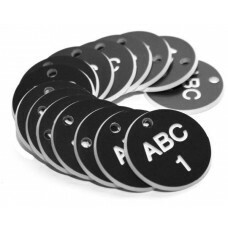 A cost effective and practical solution for many applications due to being made of a heat-resistant and robust material ..
A pitch black key fob in an oval shape available in two sizes. A cost effective and practical solution for many industrial applications due to being made of a heat-resistant and robust material able t..
A pitch black key fob with white engraved text. 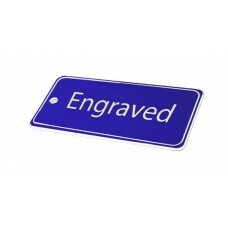 Rounded corners and available in two sizes. 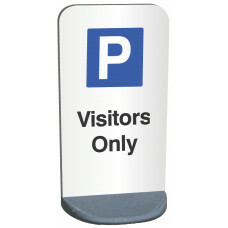 A cost effective and practical solution for many industrial applications due to being made of a heat-resista..
A rich blue key fob in an oval shape available in two sizes. 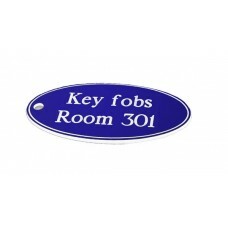 A cost effective and practical solution for many industrial applications due to being made of a heat-resistant and robust material able to ..
A rich blue key fob with white engraved text. 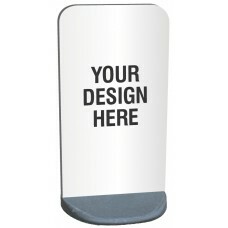 Rounded corners and available in two sizes. A cost effective and practical solution for many industrial applications due to being made of a heat-resistant..
A brass effect sign with engraved text, available in five different sizes. 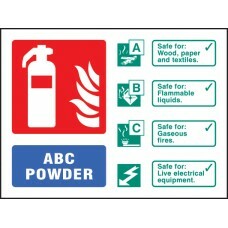 A cost effective and practical solution for many applications due to being made of a heat-resistant and robust material able .. 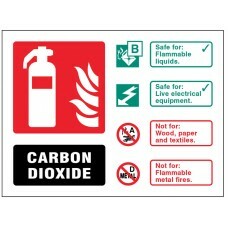 This fire extinguisher sign should be used to highlight Co2 extinguishers. 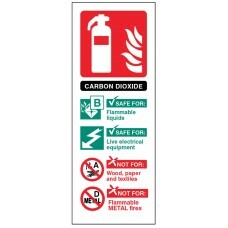 Co2 extinguishers can be used on flammable liquid and live electrical fires however they should not be used on wood, paper, t..
1mm anodised aluminium door sign with anodised aluminium stand-offsAn elegant and professional sign solution provides an eye catching room identification message; Please state your required text when..
5mm Clear acrylic with frosted crystal vinyl and anodised aluminium stand-offsAn elegant and professional sign solution provides an eye catching room identification message; Please state your require..
5mm Clear acrylic with frosted crystal vinyl and anodised aluminium stand-offsAn elegant and professional sign solution provides an eye catching room identification message Material Options Explained .. 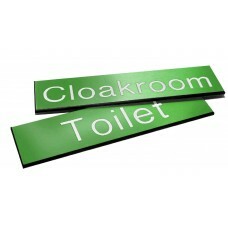 This eco-friendly, high performance portable sign is ideal for pavements, roadsides and forecourts.The base is manufactured from recycled PVC and has a good ballast (tested in winds over 70mph). Mate..
Multi-message signs provide multiple safety messages on one sign. 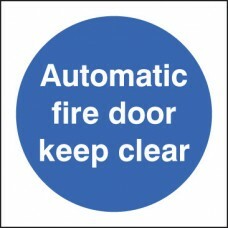 The first safety message on this sign is a hazard warning. 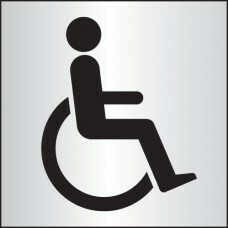 This is displayed to advise and forewarn of potential dangers. 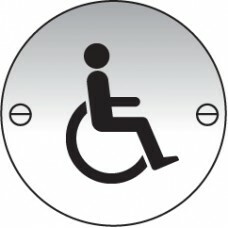 The second m.. 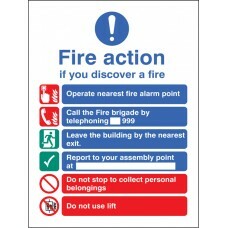 Advise staff and visitors what to do in the event of a fire within the building - provides specific details relevant to the building in question. 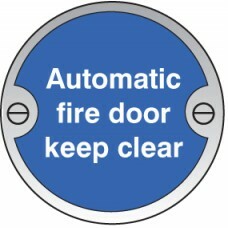 This fire action sign states: If you discover a fire..
A cost effective and practical solution for many applications due to being made of a heat-resistant and robust material able to withstand the toughest environmentsEngraved signs provide a permanent an..
A pitch black circular tag with bright white text, available in two different sizes with the option of with or without prefixes. 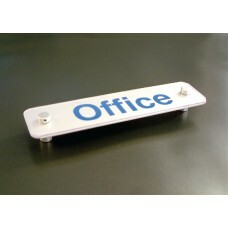 A cost effective and practical solution for many industrial application..